Home » Could These Weird Space Objects Be the First Proof of Intelligent Aliens? The Search for Extraterrestrial Intelligence has been running roughly (figuratively and literally, at times) since Frank Drake launched Project Ozma in the late 1950s. In all that searching, it’s found only a few stray signals of unknown origin, but no concrete proof that it’s aliens at play. But KIC 8462852​ could be the first big breakthrough for SETI, just a few months after the Breakthrough Listen project injected $100 million into SETI research over 10 years. Originally found through Kepler Space Telescope data, the star has some not-quite-planets around it, objects that cause chaotic dips in the light of the star. On the one hand, there’s the team lead by ​Tabetha Boyajian​ at Yale, who, in a paper published in the Monthly Notices of the Royal Astronomical Society (Arxiv pre-print here)​, have proposed an unusual asteroid belt, a field of debris, or a series of comets flung by a passing star, all of which are causing fluctuations at very close range to the star, big enough to be seen by Kepler (but not big enough to be a planet.) But the star is old enough that, in this stage in its life, it’s unlikely to be a dust disk associated with planetary formation. But Berkeley SETI has an alternative hypothesis: that this is the kind of alien megastructure we’ve always suspected could be around distant stars, true indications of an advanced alien species. It’s a tantalizing possibility, and one the Berkeley SETI team are drafting up the proposal to follow-up on. 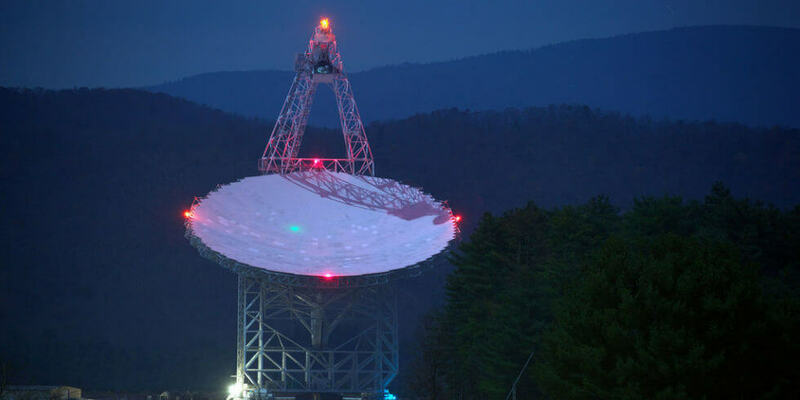 It will point a large radio telescope (either the NRAO’s Green Bank Telescope in West Virginia or the Parkes Observatory scope in Australia) at the star, and listen in for a sort of buzz that indicates not alien radio signals, but a sort of hum of alien technology. It could be a power station or some other kind of structure. Or it could, in fact, be comets or asteroids. It could even be an observational error or an unexplained hypothesis not addressed by Yale or Berkeley SETI. But if it ends up Berkeley SETI is onto something, this could be the smoking gun that we’re not alone in the universe, after decades of searching in vain.